Do you want to get together and celebrate the end of what has been a fantastic Toastmasters year? Do you want to join a Sunday club that meets in London? Do you want to join an existing weekday club in London? Are you an existing member or are you thinking about joining? Would you like to improve your public speaking and leadership skills? Do you like to have fun with like minded individuals? Then come along to Speakers Corner at Hyde Park this Sunday. Bring along someone who would love Toastmasters too and bring a picnic. We will have a demo meeting and then enjoy a sunny lunch in the park. We will have lots of people there, including our current District Director Jean Gamester, our next District Director Vanessa King, and our immediate past District Governor Hilary Briggs. And you! We will be signing up members and leaders to take the Sunday Club forward and will have information about existing clubs and how to sign up with them too. We look forward to seeing you at Speakers Corner this Sunday! 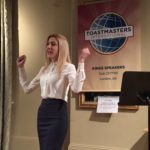 Come along to the inaugural meeting of Clapham Connectors, a new Toastmasters club in the Clapham area of London. Learn how to develop your leadership and communication skills, how to present with power and how to become a great storyteller. 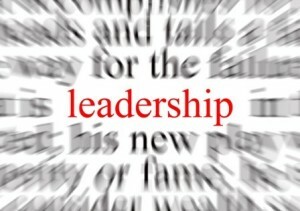 Leadership is the key ingredient that makes the difference between an average club and a great club. High performance leadership at club level is multifaceted and requires a combination of strategic thinking with thorough attention to detail. It is important to remember that all club officers can make a significant impact on their club regardless of their role. It is all down to you whether this impact will be positive or negative. 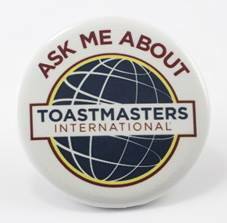 Why did I join Toastmasters? I ha ve always had a very lively, energetic, social personality. I absolutely love being around people! But as a child growing up with stammer, it was hard for me to find my voice. Engaging an audience, no matter how big or small, was a deep rooted fear. On the one hand, it made me a good listener. But on the other hand, it was holding me back from what I wanted – to be a strong and eloquent speaker. Not being able to express my thoughts, I spent a sufficient amount of time reading, mostly classic Russian novels, Ancient Greek literature and philosophical essays. I ended up having so much to say, but at the same time so little confidence to stand up and do it. After a busy 2015/2016 Toastmaster’s year, it’s time to reflect, recognise and acknowledge good deeds carried out during the year by handing out awards. First of all, we need to receive your nominations. Please complete the Nominations Form and email back to me by 30 June.